What’s better than an all-inclusive family resort with swimming pools? 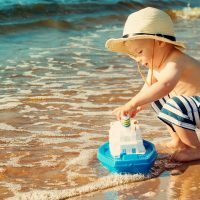 An all-inclusive family resort with private swimming pools! We’re talking pools so private, they’re connected to your suite and reserved for your family only! These are the best all-inclusive family resorts with private pools. 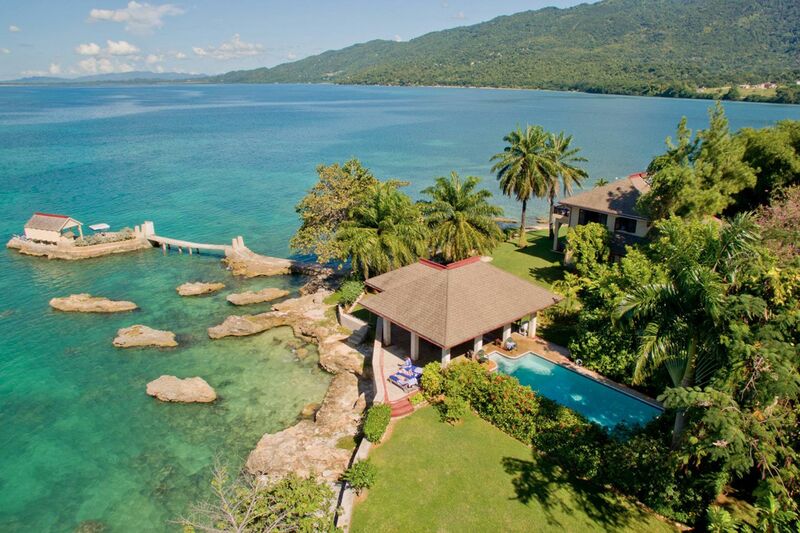 All of the villas at Bluefields Bay Villas in Jamaica offer private pools! The cottages and houses offer anywhere between two and six bedrooms, accommodating families of all sizes. Many are located beachfront, too. The all-inclusive Dreams Riviera Cancun Resort & Spa has two room types with private plunge pools: Premium Deluxe with Plunge Pool and the Preferred Club with Plunge Pool. Both can accommodate a family of four. These suites also have indoor Jacuzzis. The only caveat to the pools — while they’re exclusive to your family, they’re not totally private from other suites with plunge pools. All of the plunge pools are essentially connected, separated only by a small fence. 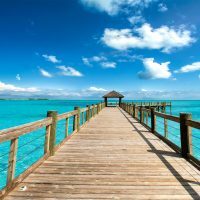 What doesn’t Beaches Turks and Caicos offer? 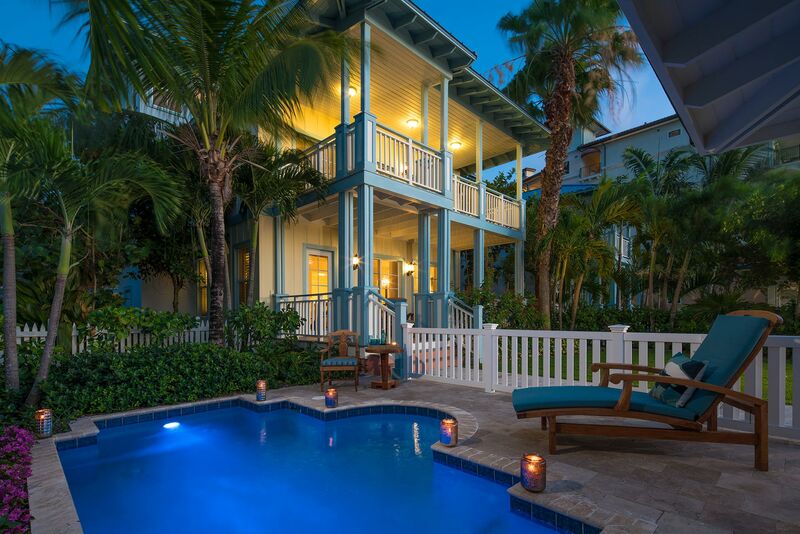 The all-inclusive resort’s Key West Beachfront Four Bedroom Butler Villa Residence With Private Pool (say that three times fast) has a private plunge pool for families to enjoy. This suite also sleeps up to 10 guests, so it’s perfect for multigenerational vacations! The Windjammer Landing Resort in St. Lucia offers three-, four- and five-bedroom estate villas with full-size private pools and incomparable ocean views. Guests of these accommodations also have access to a private chef! It’s all about the Ambassador Suites at Grand Velas Riviera Maya. All of these luxurious suites offer private terraces, and some offer private pools. The Ambassador Pool Ocean Front sleeps three guests (two adults and a child); the Ambassador Governor Ocean Front sleeps two adults and two kids; and the Ambassador Presidential Ocean Front accommodates up to four adults, four kids (ages 4 to 15) and two infants. 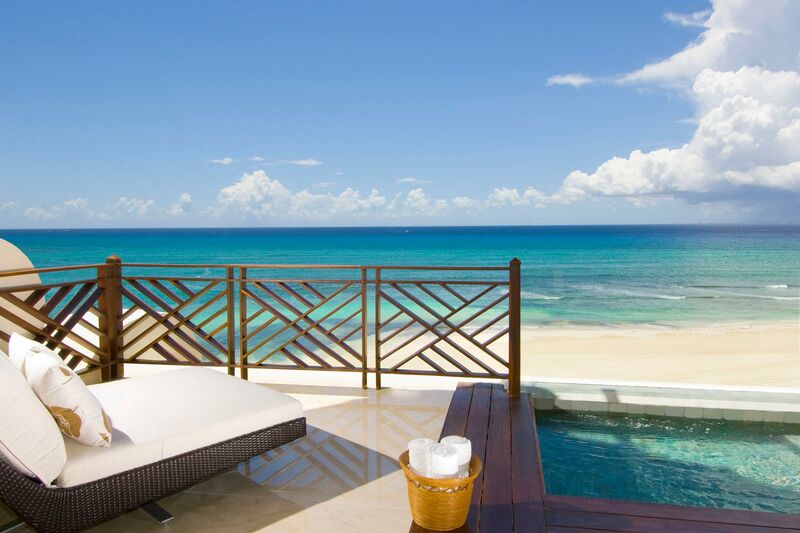 The Grand Velas Los Cabos also offers Ambassador Suites with private plunge pools. The Ambassador Pool Suites are ideal for families of four. 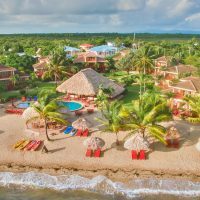 This resort just opened in 2017!